Since the 1950’s, Rolex has been producing sophisticated diver’s watches that are built to withstand incredible depths. In addition to being able to travel far below the surface of the ocean, each Rolex diver’s watch boasts a highly visible dial topped with lume as well as a bezel that can be adjusted to measure diving times. The bezel plays a huge role in keeping safe time while in the water, as it typically utilizes a unidirectional design, depending on the year the model was released. The Submariner is a dive watch equipped with a rotatable bezel for the diver’s benefit. When the Rolex Submariner collection first came to market in the 1950’s, the bezel was bi-directional. The aluminum insert boasted 60-minute graduations and a distinct arrow marker at the 12 position. Serrated edges offered an easy grip for use while in the water. While early generation Submariners were certainly impressive for their time, there was a lot of room for improvement. Between the late 70’s and early 80’s, Rolex made several important upgrades to the Submariner, including an increased water resistance of up to 1,000 feet, the addition of a sapphire crystal, and a unidirectional bezel. The bezel was also upgraded to a ceramic insert in later models. The unidirectional bezel was an extremely important upgrade, as it allowed time to move forward only, never backward. This feature is invaluable during deep saturation dives when every second matters. To use the Submariner’s time-lapse bezel, rotate the zero-marker to the left, stopping at the minute hand. This should be done before descending into the water. Your diving time will be tracked on the bezel via the minute hand as time passes. The unidirectional design is added as a safety precaution; even if the bezel is bumped or moved your diving time will only get shorter. Rotate the bezel to the time it was when you first went in. Here it reads that the user was in the water for 42 min. 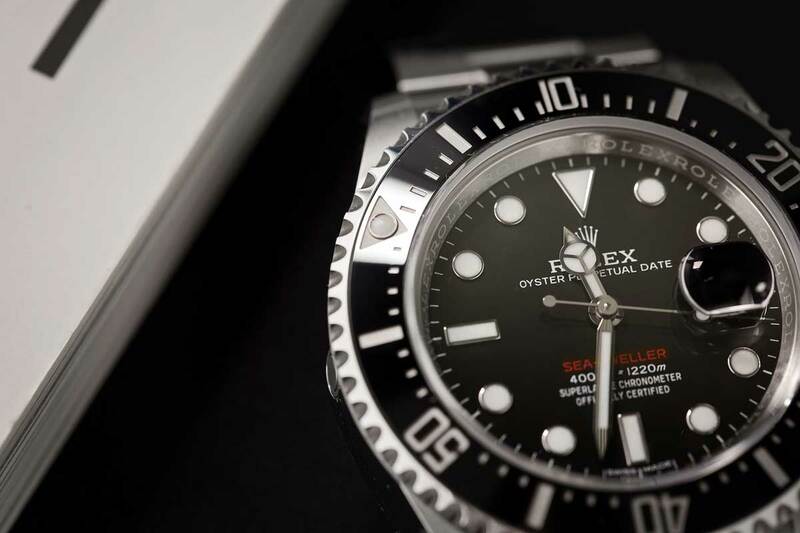 The Sea-Dweller is another diver’s watch produced by Rolex. While it functions similarly to the Submariner, the Sea-Dweller stands apart from Rolex’s iconic diver with an increased depth resistance of up to 4,000 feet. A helium escape valve is located at 10 o’clock and allows the movement to decompress properly, preventing the crystal from popping off at such great depths. The Sea-Dweller also leaves out the standard Cyclops lens over the crystal, with the exception of the Rolex Sea-Dweller 126600, creating an even more reliable waterproof seal. Have you used a Sea-Dweller or a Submariner to dive? Comment your journey below. 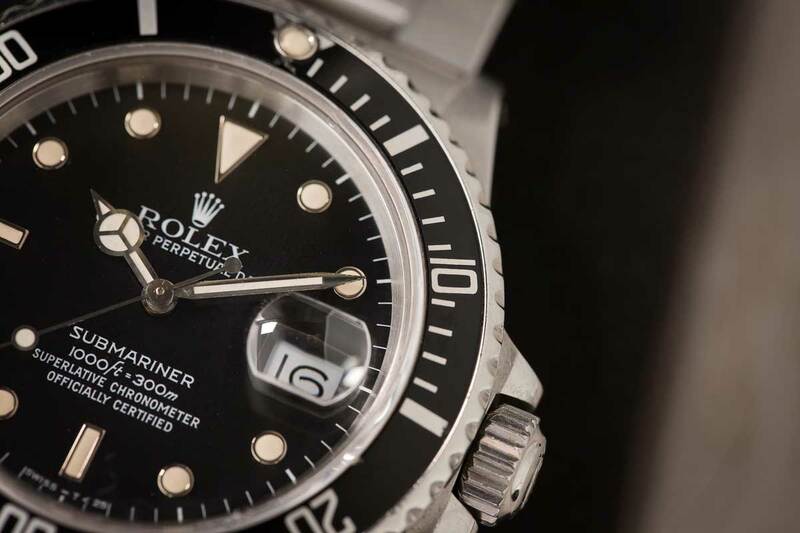 Similar to the Submariner, the Sea-Dweller debuted with a bidirectional bezel, which was later replaced with a unidirectional variation with the addition of reference 16600. Its purpose is the same as the Submariner bezel, to measure decompression stops and other diving times. Similar to the Submariner, the Sea-Dweller bezel can be used to measure diving times by turning it counterclockwise to coordinate with the minute hand on the dial. 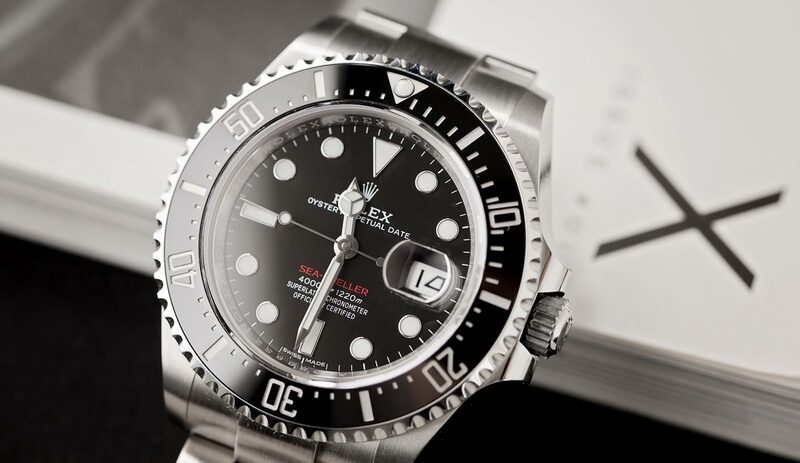 While Rolex was not the first company to produce a diver’s watch, they are certainly the most iconic, setting the standard in the industry for quality, function, and style.